The Commonwealth and European medallist captained a youthful Scotland team that finished a creditable fourth in the Loughborough International match on Sunday. 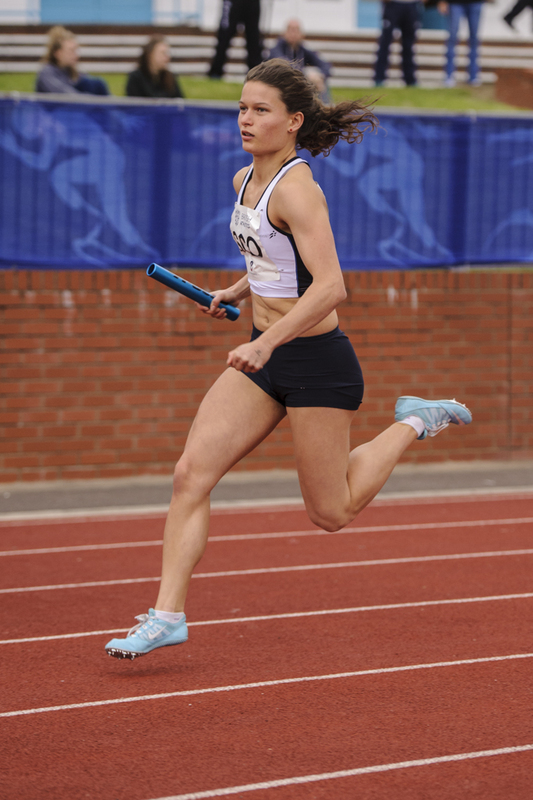 Sharp joined the 4 x 400m team and earlier spent time encouraging and advising a host of teenagers – as Scottish athletes posted qualifying standards in a range of events for the Commonwealth Youth Games in samoa, the World Youths in Colombia and the European U20 and U23 events later this year. ‘I was really impressed with the youngsters that I spoke to on Sunday,’ said Lynsey. ‘I don’t often have the chance to mingle with our Scottish athletes now, unfortunately, and there were a number here that I had never met before. Just watching some of the performances and talking to them I was taken with the attitude and ability. ‘There were all sorts of qualifying standards set and across a range of events – jumps, throws, sprints and hurdles and middle distance. ‘It wasn’t easy on Sunday because it was quite windy and cold later in the day. Far from ideal conditions. 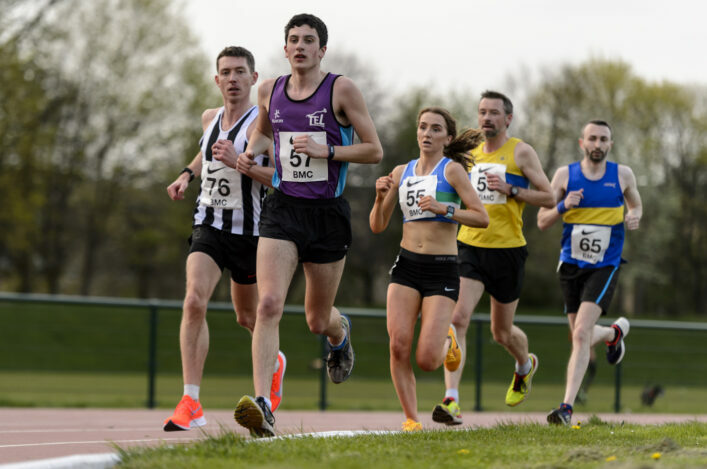 And I know myself having competed at Loughborough at a young age that it can feel quite a big deal coming south of the border to race there and you can feel really very nervous. Sharp featured on the third leg of the 4 x 400m as she took over from Diane Ramsay following Zoey Clark’s opening leg. Lynsey handed a lead to Kelsey Stewart but the GB Juniors over-hauled Scotland, who had to settle for second place in 3.38.01. The youthful 4 x 100m women’s team finished fifth in 46.53 thanks to the efforts of Jill Cherry, Selina Henderson, Alisha Rees to Kathryn Christie. And the 4 x 100m men’s team finished in fifth place in 41.70 thanks to the effort of Adam Thomas, Alec Thomas, Cameron Tindle and Stephen Dunlop. The men’s 4 x 400m finished in sixth in 3.19.01 with the team featuring Grant Plenderleith, David Martin, Martin Lipton and Ben Greenwood – with a baton mishap costing Scotland dearly. 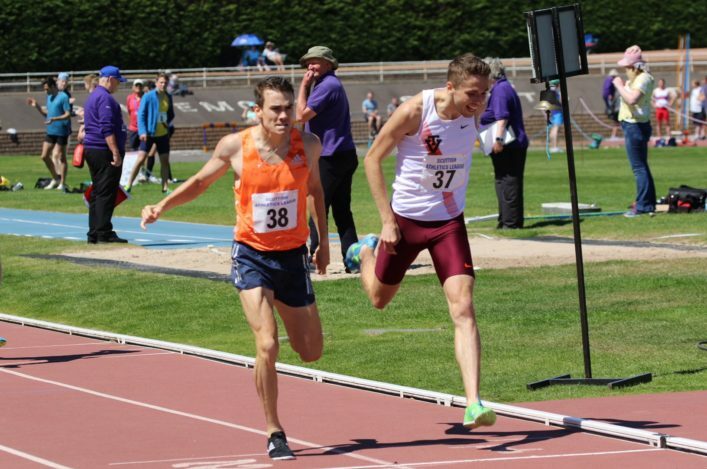 Aberdeen AAC youngster Stewart was with the GB Juniors squad on Saturday and was then allowed to run for Scotland in the relay. ‘Lynsey was a great captain and it was good to get the chance to speak to her,’ said Kelsey. ‘I learned a lot in Loughborough this weekend with the GB Junior squad and then being involved again in two races on the Sunday. I was bouncing up and down waiting for the baton from Lynsey for the final leg but also knew the last runner for the GB Juniors can run 52 seconds so there was always a chance they would make up the ground. Similarly, Mhairi Hendry ran for GB in the 800m and finished second to Emily Dudgeon and loved her taste of international duty. 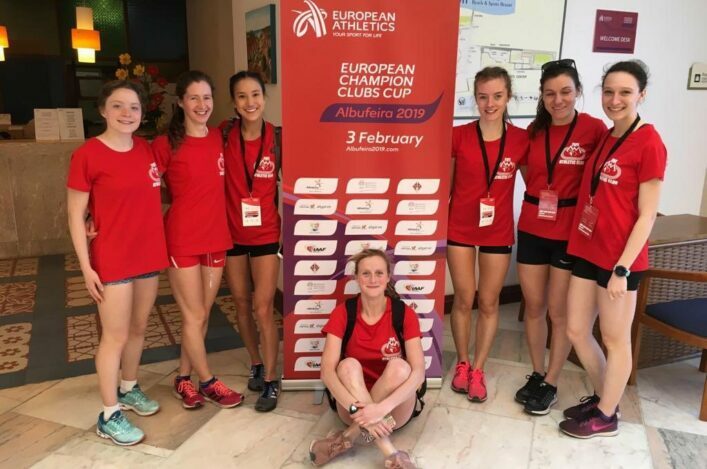 Laura Muir’s coach, Andy Young, is working with Hendry – who has now twice been under the 2.06.50 standard being asked by British Athletics for the Euro U20s and took silver at BUCS and second place on Sunday. Zoey Clark has an eye on the Euro U23s this summer and ran 53.62 to finish in a second place in the 400m – with some well-known names behind her. ‘I was reasonably pleased to finish second in that race. There’s some really good athletes involved and to be racing people like Meghan Beesley, Kelly Massey and Victoria Ohuruogu gives me a lot of confidence. *Loughborough International photos by Bobby Gavin.